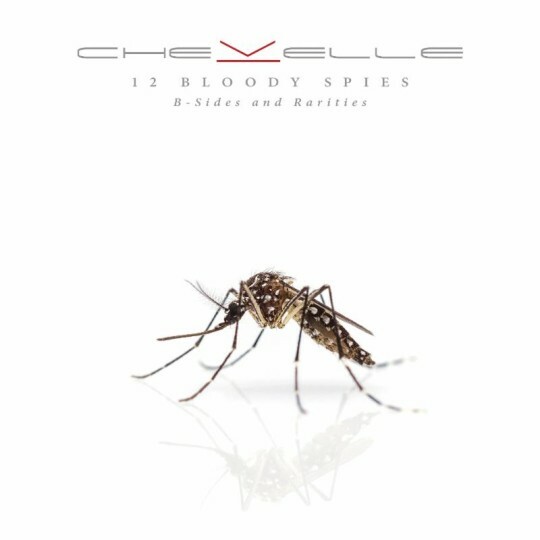 Multi-platinum alternative rock band CHEVELLE releases 12 Bloody Spies: B-Sides and Rarities, a comprehensive compilation of sought-after B-Sides and rarities. The album contains music from 2002-2016, spanning their acclaimed career and remastered on one brand new collection for the very first time. Get it HERE! Known for having one of the most devoted fan bases in rock, the band sent a letter to 12 lucky fans last month announcing the project and unlocking the first track from the coveted collection, “Sleep Walking Elite,” which was originally recorded during the sessions for their 2007 album Vena Sera. Thick, driving riffs propel the track, providing the perfect counterpoint to a hauntingly hypnotic hook and making it a quintessential CHEVELLE offering. The new album also includes another song from the Vena Sera period, “In Debt to the Earth,” which builds with signature Chevelle intensity and is emblematic of the passionate and diverse tracks contained in the full collection. 12 Bloody Spies: B-Sides and Rarities serves up everything from an acoustic version of “Sleep Apnea” off 2009’s Sci-Fi Crimes to an unearthed bonus track, “Until You’re Reformed,” from their second album, their 2002 major label debut, the now-classic Wonder What’s Next. Also included is the riveting “A Miracle,” a song they recorded as a bonus track for their most recent album, 2016’s The North Corridor, which continued to explore the band’s heavier inclinations. One of the most creatively fearless bands in hard rock, Chevelle’s 12 Bloody Spies: B-Sides and Rarities reveals a treasure trove of under-the-radar ‘finds’ and hidden gems, as well as other enlightening musical detours that deserve to be considered alongside Chevelle’s incomparable body of work. Since the release of their full-length debut Point #1 in 1999, CHEVELLE have stood at the forefront of hard rock, consistently evolving and progressing while delivering a series of ubiquitous and inescapable anthems. 2002’s breakout Wonder What’s Next would go platinum, yielding smashes such as “The Red” and “Send the Pain Below,“ while its follow-up This Type of Thinking Could Do Us In reached gold status. In 2011, Hats Off to the Bull landed at #9 on the Billboard Top 200 and delivered “Face to the Floor.“ La Gárgola crashed into the Top 5 at #3 and boasted “Take Out the Gunman.” 2016’s The North Corridor represented new heights for the group, marking its fourth Top 10 bow on the Billboard Top 200.